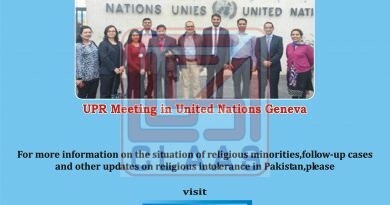 On April 13, 2015 through a phone call Mr. Joseph Francis informed that Yasi Javed, 13 a minor Christian boy has been murdered due to minor dispute. Immediately CLAAS team consisted on Mr. Sohail Habel (Finance Manager) and Mr. Hunny Bashir (Assistant In-charge Legal Department rushed towards the place of occurrence to collect real facts behind this incident. though it was Abbas and Samad’s mistake but they abused and heated arguments turned into serious dispute as they started beating Javaid Mashi. Some nearby person involved and reconcile between them. Later on Javaid came back his home and with the passage of time forgotten this incident whereas on the other hand Abbas and Samad started planning to take revenge. Following their plan on A p r i l 13, 2015 at 5:45 p.m. Javaid Masih and his younger son Yasi was going to market as they reached on main road of Bogi Abbas and Samad stopped their way and started beaten to Javaid Masih, Suddenly Abbas took out his pistol and fired on Yasi and a bullet crossed his head he fell down on floor and both accused ran away. After hearing fire shot noise some area person included Mr. Marten Javaid Michel (Vice President PCNP)also gathered there. Immediately they help Javaid Masih and took Yasi to Mayo Hospital Lahore, where the concern doctor confirmed his death. Further Police officials of Gari Shahu also came in hospital. Javaid Masih gave an application against Abbas and Samad and police lodge FIR No.122/ 15 offence 302/34 PPC. Lateron police raid on both culprits’ houses and arrested one accused Abbas further Samad has been escaped. 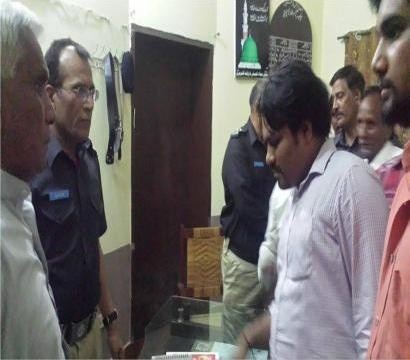 CLAAS team also went to Police Station Garhi Shau,Lahore to meet with concern police, where Javaid Masih and some his relatives were also present. The electronic media was also visited for coverage. According to Sub-Inspector Anwar Saeed it was a minor dispute behind this murder, accused Samad will behind the bars soon police raiding in his area to arrest him. Yasi’s dead body has been sent for post mortem in Mayo Hospital Lahore, and after formalities dead body will be hand over to his family. DSP Qaiser Mushtaq shared that Samad and Abbas are resident of Ahata Dittu Shah Gharib Nawaz Hotel they often used to come to meet with their brother in-law namely Younas who was resident of Bogian, they both have no criminal record, but police has been found the pistol from accused Abbas. Qaiser Mushtaq also assured that accused Samad will be behind the bars soon and also assured for justice. 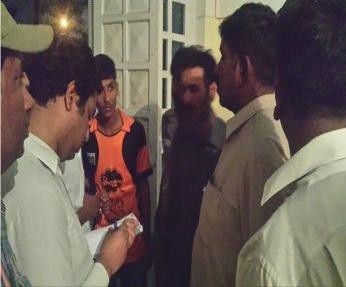 CLAAS team also met with concern S.Pand according to him he is with victim’s family and he is ready to do any type of help. Javaid Masih belongs to a poor family he is only earning hand of his house, it’s an evil act that in a minor dispute they murdered an innocent child. Further he shared that there will be no excuse for culprits. Police waiting for post mortem report which is pending and hope fully they will get it soon. Later on CLAAS team visited to Javaid’s house and met with Javaid’s family. 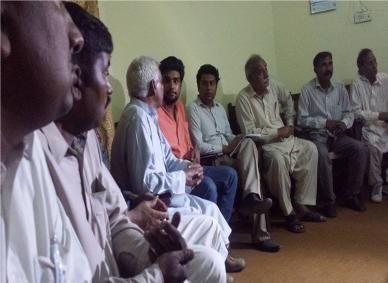 According to Javed Masih some days ago a minor dispute took place between Abbas, Samad and Javaid whereas he was forgotten that dispute, but he never thought that Abbas and Samad would kill his son he further shared that Hanif Thakedar, Mr. Marten Javaid Michel and some otherarea’s persons are eye witness of this incident. Both culprits ran away after murdering his son. Salman Javaid is elder brother of Yasi according to him Yasi was second last among his siblings due to minor dispute they killed his brother. Abbas and Samad both are influence person they always keeps weapons with them to spread terror in area. They are also indulged in criminal activities. His father is a noble person they are living in this area for last 20 years and has no opponent but they killed his brother due to a minor dispute. Mehboob Masih resident of Momin Pura Lahore, he has running his Men’s Salon. He is cousin of Yasi and according to him he was not present at the time of incident but as he heard about this he rushed towards Mayo Hospital Lahore, but it was too late and Yasi was badly injured further concern doctor confirmed his death. Pastor Abid John residence of Bogi road Lahore shared that he was at his home probably 6:30 pm. Javaid Masih was informed on telephone about this incident and the death of Yasi. 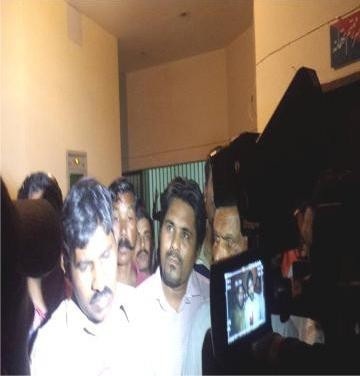 He rushed towards Mayo hospital where police was already present. They sent Yasi’s dead body for post mortem, later on they went police station Ghari Shau Lahore for FIR. Next day on March 14, 2015 Mr. Marten Javaid Michel & Mr. Joseph Francis, National Director CLASS joined the police Investigation and also went to Mayo Hospital Lahore, for post mortem and report is still pending. The dead body is handed over to his family for funeral ceremony which was held yesterday at 3:00 pm. Some people using weapons to spread terror in their areas and due to this crime increases day by day. Javaid is living in Bogian for last 20 years he has no rival but Samad and Abbas killed his son due to minor dispute which is an evil act. Punished with imprisonment of either description for a term which may extend to twenty-five years, where according to the injunctions of Islam the punishment of qisas is not applicable.